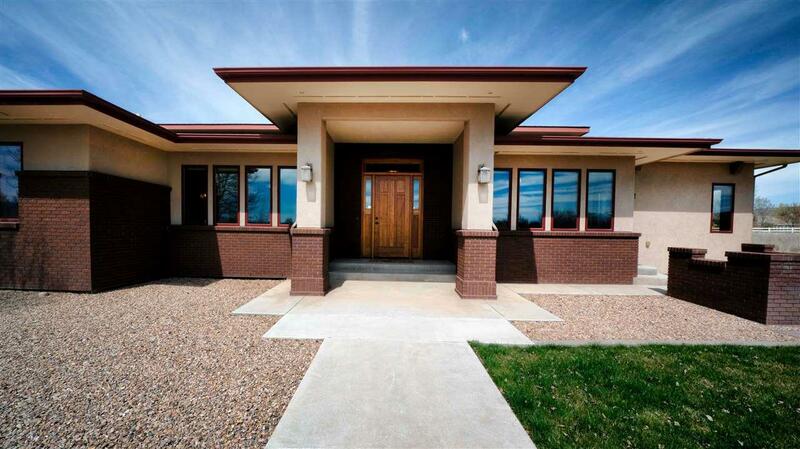 Magnificent Prairie Style custom home on over 3 acres in North Grand Junction! 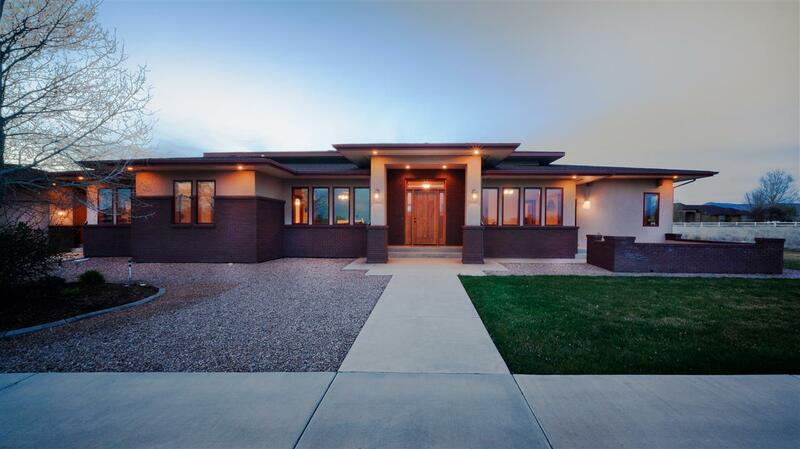 Inspired by the designs of Frank Lloyd Wright, thought went into every detail of this luxurious ranch home. Just shy of 3600 sq ft, this home boasts 14 ft ceilings, 8 ft doors, custom wood working featuring Cherry, African Mahogany, Hickory, Walnut, and Oak, coffered accented ceilings, and a flowing split bedroom designed floor plan; each room insulated for noise reduction. An entertainer's delight, having multiple gathering spaces inside and out. Impress your guests with gourmet meals prepared in the chef's kitchen served in the formal dining area or relax around the three sided fireplace in the formal living room. 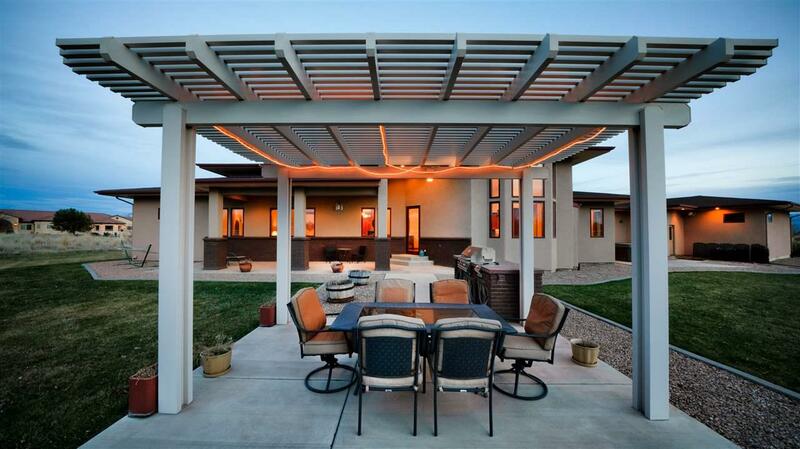 For casual entertaining, unwind under the pergola by the outdoor fireplace as the sun sets. 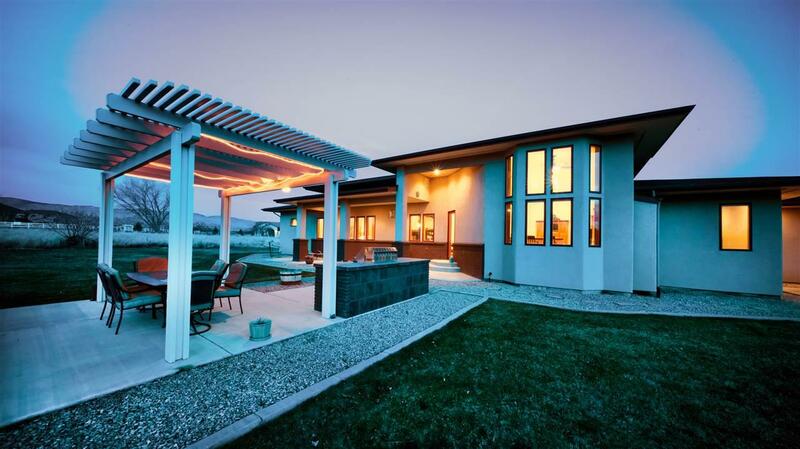 360 degree views, meticulous landscaping, Geothermal heating/cooling, a 4 car over-sized garage!